Britain loves a supermini. Small hatchbacks like the Ford Fiesta and Vauxhall Corsa combine affordable running costs with greater practicality compared to a city car. As well as being cheap to buy, they’re also cheap to insure, making them popular with young or inexperienced drivers. If low insurance is high on your supermini wish list, we’ve compiled a list of the top 10 cheapest small hatchbacks to insure. 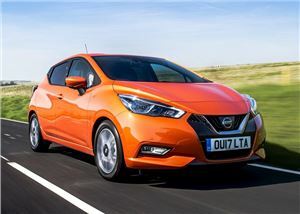 The Nissan Micra has been a favourite with young drivers for decades. The latest model features a bold interior and a host of personalisation options, while there’s an engine to suit every requirement. While the 0.9-litre turbocharged unit is a better choice for drivers who regularly head out of town, buyers on a budget should opt for the entry-level naturally-aspirated 1.0-litre petrol engine. As well as being cheap to insure, a combined MPG of 61.4 means it shouldn’t be too thirsty, either. These are just examples and we've made a lot of assumptions. Your circumstances will be different - so make sure you check to see what it will cost you. We've used Compare.com for these sample quotes *. The latest Volkswagen Polo is one of our favourite superminis - proving you don’t need to spend a fortune on insurance to own the best. With its 65PS 1.0-litre petrol engine, the entry-level Polo returns 58.9mpg and emits 110g/km CO2. Its 15.5-second 0-62mph time won’t appeal to anyone who spends a lot of time driving out of town and the naturally-aspirated engine is noisier than the turbocharged offerings, but there’s plenty to like about the new Polo. We rate its interior, while there’s also bags of room. It’s Britain’s best-selling car and the latest Fiesta, introduced in 2018, is also one of the best superminis money can buy. If cheap insurance is important, you’ll have to go for the 70PS 1.1-litre petrol engine. 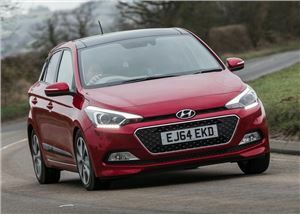 That’s not a bad thing though - even the entry-level unit is surprisingly refined and punchy. 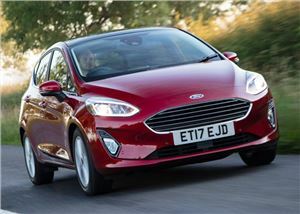 Young drivers will appreciate the stylish looks of the Fiesta while there’s also plenty of technology and customisation options on offer. It’s great to drive, too - easy to slot in and out of gaps around town, while surprisingly fun on rural roads. While the latest Kia Rio doesn’t stand out in any particular area, it does most things very well. There’s plenty of space and the interior feels well made, while Kia’s seven-year warranty makes it a sound choice. No matter which engine you choose, it’ll be cheap to run. Opt for the 1.4-litre CRDi diesel engine in mid-range 2 trim and not only will you have a well-equipped car capable of returning more than 80mpg, but you’ll also have one of the cheapest superminis on the market to insure. 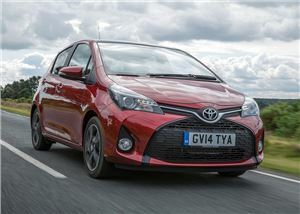 The Toyota Yaris feels dated compared to modern rivals such as the new Ford Fiesta and Seat Ibiza, but it ought to prove a sensible and reliable purchase. Despite being old hat, the Yaris is the only car in its segment to be available as a hybrid. Not only does the petrol and electric motor work together to provide extremely good fuel economy (officially it’ll return 85.6mpg), but insurance companies favour it too. 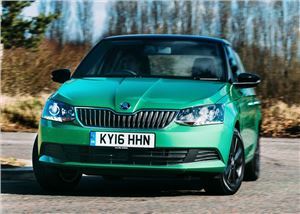 Skoda’s sensible supermini offers excellent value for money. 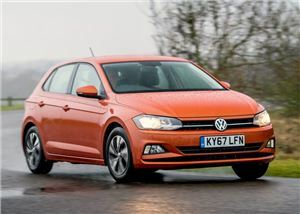 While you won’t find as many soft-touch plastics as inside the Volkswagen Polo, it’s comfortable with plenty of space for the driver and passengers, and has a big boot for its class. The 60PS 1.0-litre MPI engine isn’t the most desirable in the Fabia line-up, but it will provide new drivers with affordable insurance. Returning 57.6mpg, it’ll also prove to be cheap to run in other areas. You want a new car on a tight budget? Enter Renault’s budget brand, Dacia. The Sandero starts at just £6,995 for the entry-level Access, with no radio, black bumpers and a lack of air-con. Sounds grim, doesn’t it? Well, in exchange, you’ll also get really cheap insurance. 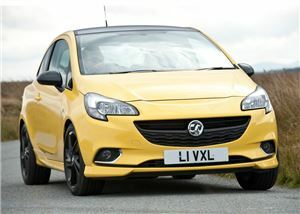 Performance isn’t great either, with the 75PS engine taking the Sandero to 62mph in 14.2 seconds. 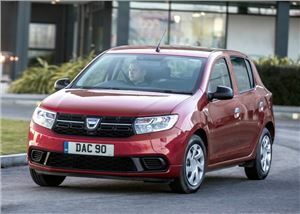 But let’s look at what the Sandero does well - it’s easy to drive and you’re not going to get more practicality for the money. The Vauxhall Corsa has always been a popular first car and for good reason. Not only does it come in a wide range of trim-levels with various customisation options, it’s also affordable to buy and run. Vauxhall oftens offers tempting deals, too - from free fuel to money off. Opt for the naturally-aspirated 1.4-litre petrol engine with 75PS, and it’ll be cheap to insure. Sure, a 15.5 second 0-62mph time is nothing to shout about, but think about those low insurance premiums. Like the Skoda Fabia, the Hyundai i20 offers extremely good value for money and, as long as you’re not concerned about badge snobbery, is just a stylish as the likes of the Seat Ibiza or Ford Fiesta. As well as coming with a high amount of kit as standard, the i20 is available with a wide range of petrol and diesel engines to suit every requirement. The newer, turbocharged units are by far the best - but those concerned about insurance should opt for the old naturally-aspirated 1.2. It’ll feel out of its depth at motorway speeds, but that’s the price you’ll pay for a Group 4 insurance rating. 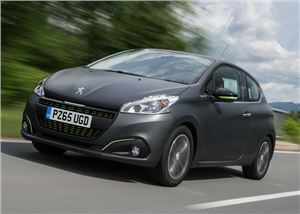 Like a few of the cars featured here, the Peugeot 208 is showing its age compared to rivals such as the Ford Fiesta. But it still looks stylish, and its interior offers something different - if tiny steering wheels and a shortage of stowage space is your thing.